In December 2006 my wife Mila and I collected our Harley, a completely redesigned 2007 Fat Boy. Immediately, as though we had been shot from a starting pistol, we were out on the road. 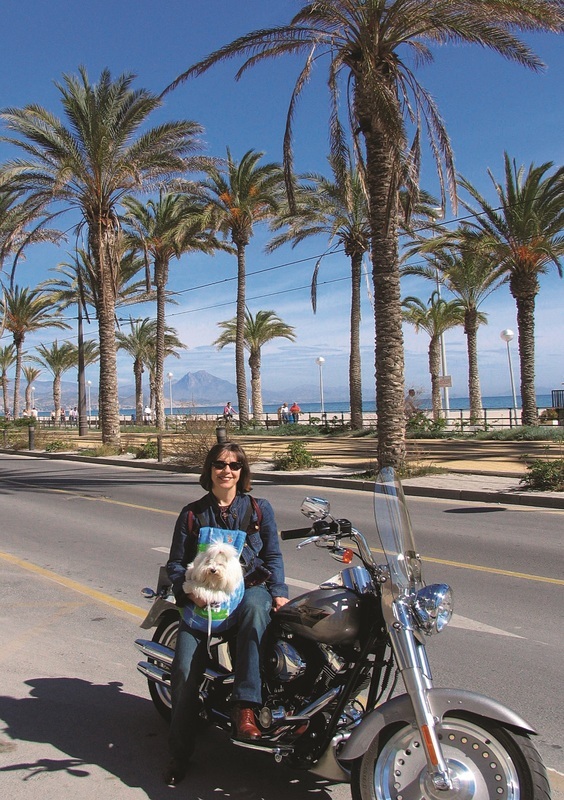 We began to go out on little trips with our puppy, for weekend activities with the Chapter and whenever possible I’d go to work on the bike. At the end of April 2007 we made our first long trip: from our hometown of Alicante to Brussels. The story was published in the autumn 2007 edition of Hog Tales. When we got back we started to participate in events organised by some of the Spanish Chapters. In the meantime I began to plan our August holiday trip through Provence. We spent a few delightful days riding along the roads in the south of France, visiting towns and sampling cuisine, finishing the holidays with a few days with friends in St.Tropez. 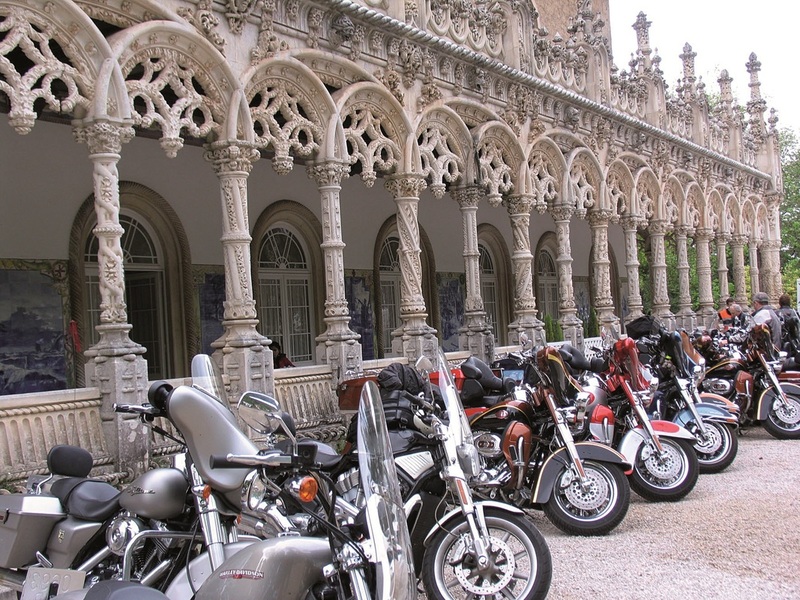 The summer came to an end and the season for long journeys gave way to outings with our Chapter and preparations for our Harleycante Rally in 2008. 2008 started with me and Mila going to the Marbella Chapter’s first anniversary party on March 28. 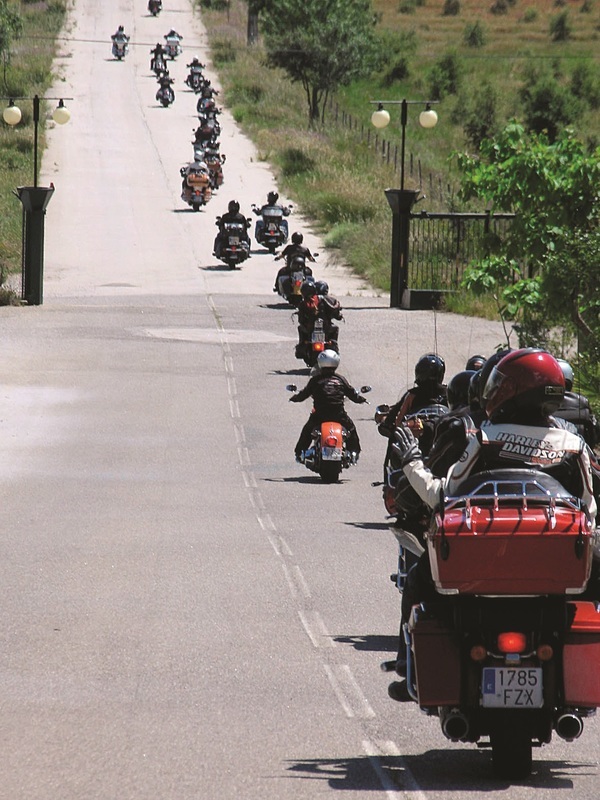 In April we attended our Harleycante Rally, and then in May we went to Madrid to take part in the KM-0 Rally, and from there we headed off to Vigo for the Vigo-Sevilla Touring Ride, first stopping in León to visit some friends. In León we got in touch with the Touring Ride people – Santos, Quique, Raúl – and rode with them towards Vigo. On the way we met the American couple who were also taking part in the ride. Before we got to Vigo it began to rain, but the advantage of being accompanied by the event organisers meant that we could easily find the hotel in Sanxenxo. However, the next day it went on raining until we reached the Santa Tecla region at the mouth of the River Miño, where it miraculously stopped raining – for the rest of the trip. 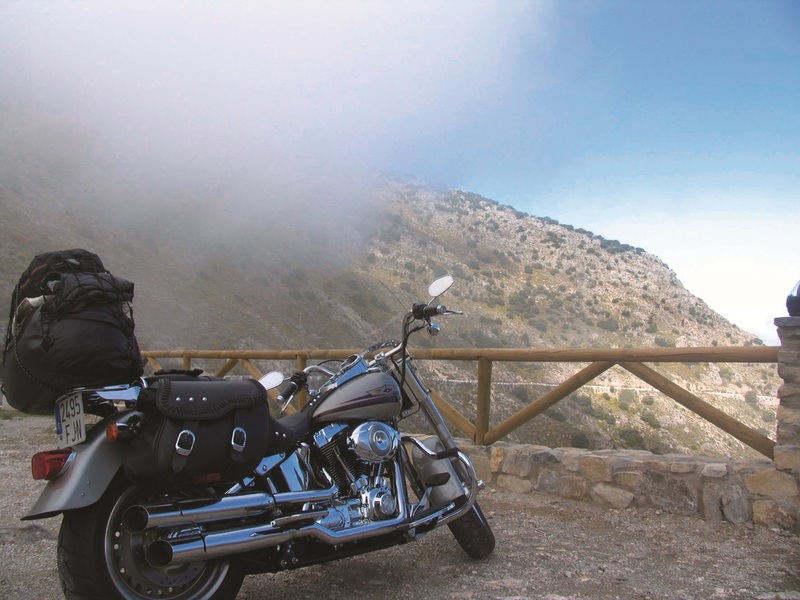 From then on we began to enjoy the journey, along roads carefully chosen so that we could appreciate our Harleys as well as the scenery and the company of the other Touring Ride participants. Until then, Mila and I had only taken long trips by ourselves, and this was the first time we rode with other Harley enthusiasts. 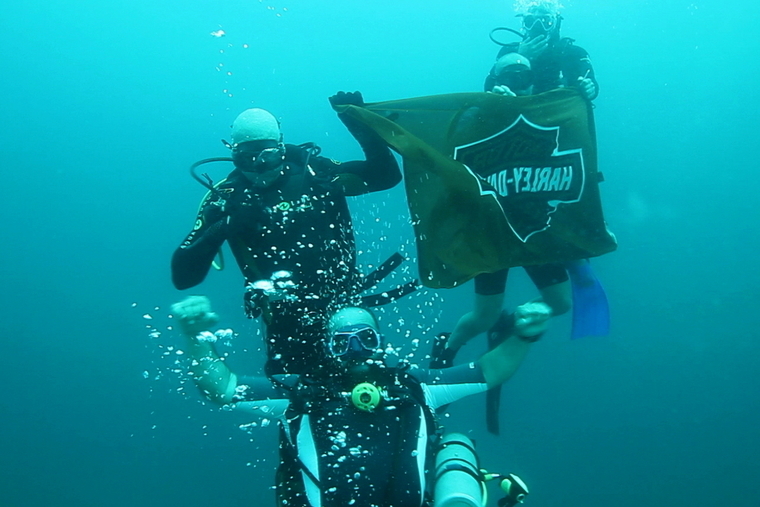 Words fail to describe what we experienced during the trip; you have to have been there to feel the sensation. The written and spoken word can only express excitement but never feelings. We reached Bussaço in Portugal and spent the night in a lovely hotel that was full not only of interesting architectural details but also of nice personal touches, because when we went to bed exhausted after an unforgettable day, the bed was already made up with a ‘good night’ sweet on the pillow, just like when Granny used to turn down the bed for us when we were little. At dinner we all felt like children ready for games. We talked easily with our travelling companions, creating bonds of friendship with people that only time will tell if we’ll ever see again. Next day, after a hearty breakfast, we set off for Cáceres, an old city with lots of historical monuments that met us with a warm welcome. 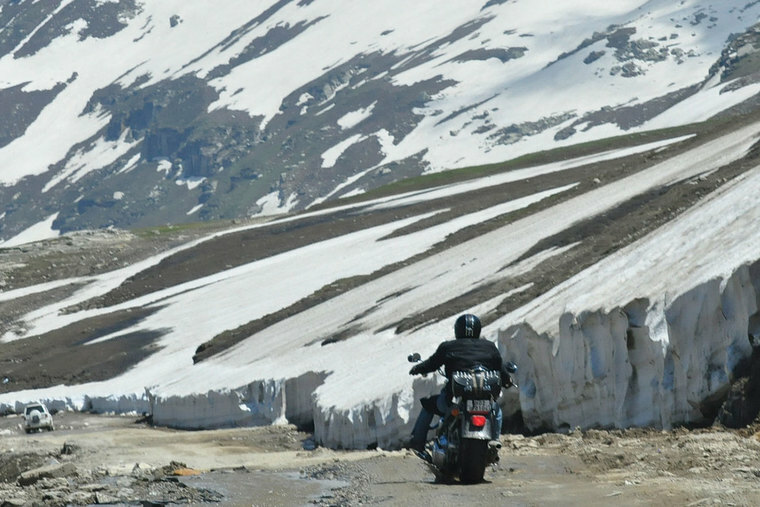 We rode along A-roads carefully chosen for their exciting combination of curves and long straight stretches, giving us plenty of opportunity to check out our fellow riders and tell them about their motorcycling performance. 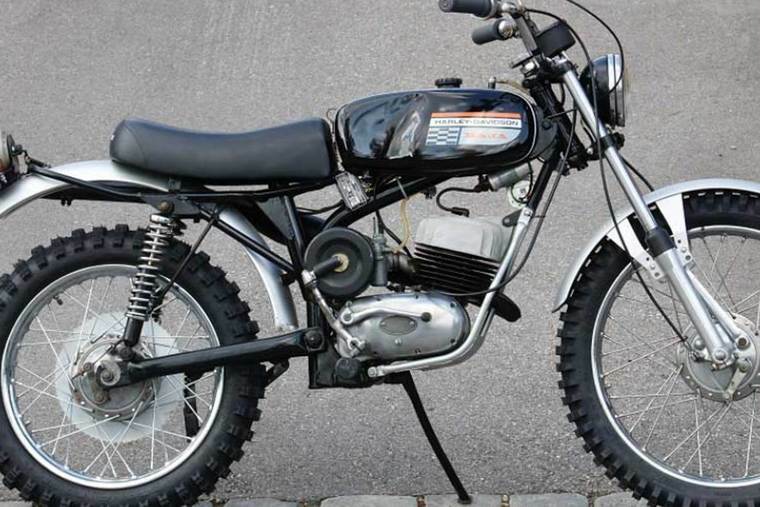 Many a time friends have told me how they like looking at my Fat Boy’s oversized wheels leaning over on the curves, and they always ask me if the bike is easy to handle. You can imagine my answer after having done 33,000km in less than two years. Back to the Touring Ride, which on its last day brought us some unforgettably enjoyable feelings of warmth towards the city of Sevilla. Together with the Sevilla Chapter we attended a dinner where lots of gifts and prizes were handed out, and Mila and I received the ‘Nicest Couple Award’. This gave us the chance to thank all the Touring Ride participants, all those present and especially the organisers who had looked after us so well. They had so patiently ensured that everything went smoothly, from traditional meals to carefully chosen roads. The combined efficiency of the staff meant that any serious incident was avoided. Mila and I realised the great work each of them had put in, from the Road Captain to the ‘shepherds’ and the guy who brought up the rear – we thank you all. Next day we said our goodbyes, although Mila and I took the opportunity to stay an extra day in Sevilla. 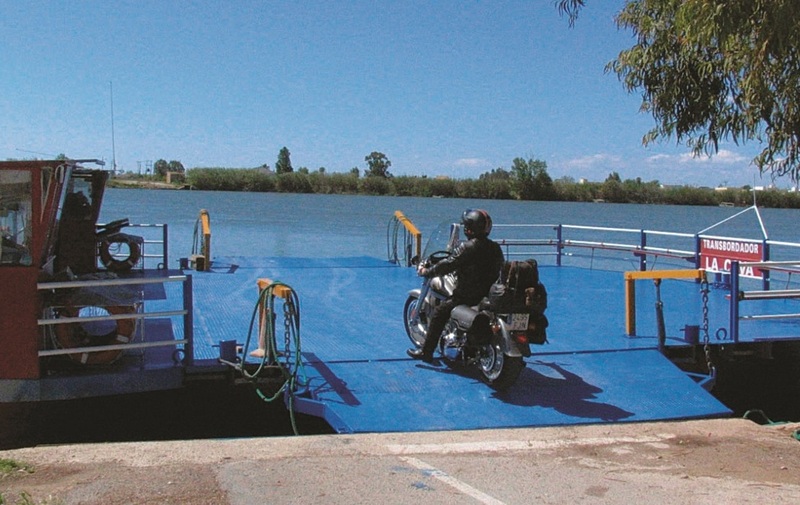 On the way home, Mila and I planned a route from Sevilla via Cádiz, Arcos de la Frontera, Córdoba, Alcaraz, riding along A- and B-roads, and through pretty Spanish villages and beauty spots. Apart from the typical architecture of cities like Córdoba and Cádiz, what stands out in the mind is the unique five-sided 16th-century tower in the town of Alcaraz. We arrived there after leaving Córdoba and crossing the Puerto de las Palomas mountains near the villages of Grazalema and Zahara on a highland road with views of the Ronda mountains and the Zahara Reservoir. 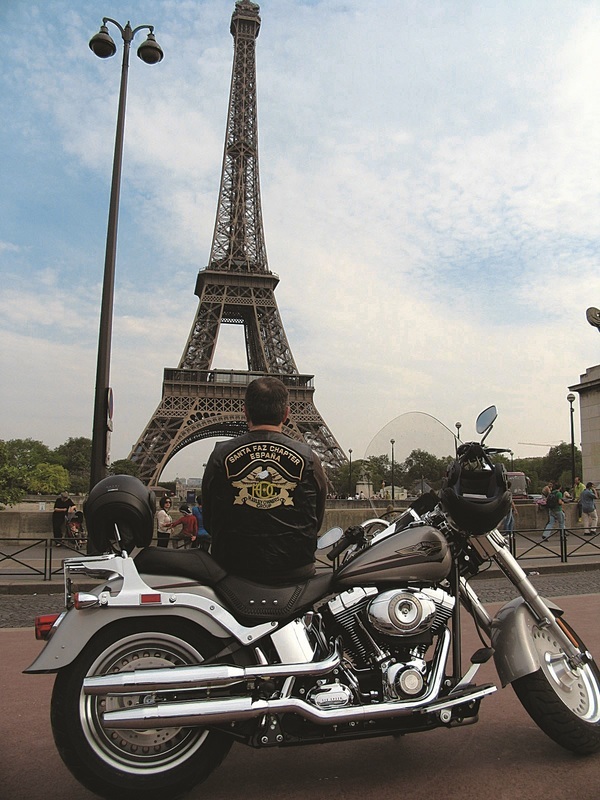 After that trip we got ready to take part in the 105th Harley-Davidson Anniversary and the 25th H.O.G. Anniversary in Barcelona. But before this, we went and spent a weekend with our pals in the Valencia Chapter who were as friendly as ever. They arranged a very nice route for us, together with activities that kept us so entertained that time just flew by. 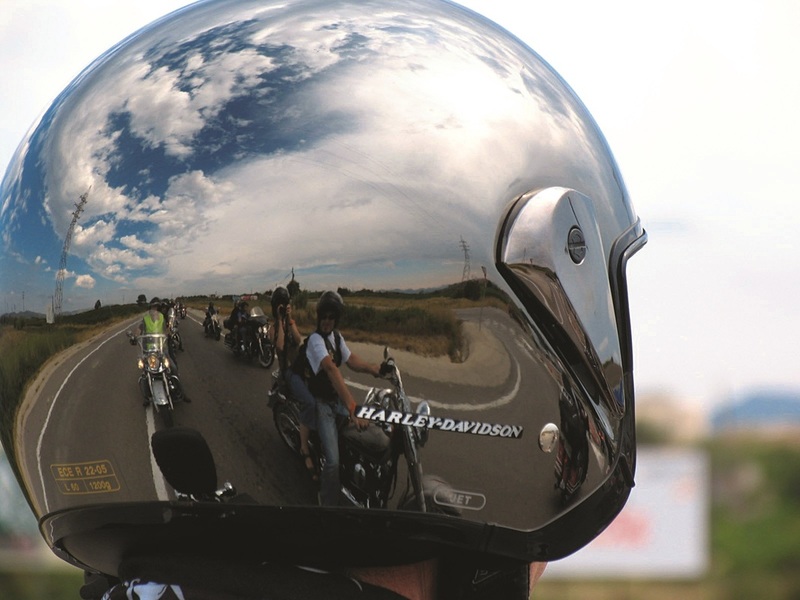 The group ride to Barcelona promised to be unforgettable. And so it was, from getting up at the crack of dawn, leaving at four in the morning to arriving in Barcelona where it was all happening. Scores of Harleys were riding through the city, with people from all four corners of the earth taking part in an event that you don’t see every day. Finally the August holidays arrived. We decided to return to St.Tropez and spend a few days with our friends. This time the challenge was to get there from Alicante without paying a single toll. The whole journey on secondary roads, A-roads, toll- free main roads, through villages, towns, from one country to another – something I’ll never forget. And best of all, no GPS. I never take one, just a few notes that I make before leaving and my sense of direction along with the odd question I ask a local. This means it’s always sure to be an adventure. I got there in two days. After the summer the schools recommenced, with students anxious to start their courses. That’s when a few of us from the Chapter went to Granada on a trip organised by one of them. We had a great time in Granada, riding along the country roads and visiting well- known villages in the foothills of the Sierra Nevada. We went to typical places in the city and really enjoyed the company of a bunch of Harley enthusiasts intent on having a good time. With all these experiences, you can see that we haven’t been bored, planning and enjoying our trips, just my wife and I by ourselves or together with others. Either way, it’s all very pleasurable. The main thing is the desire to get what you want and to put all your efforts into achieving it. But what’s most important is not to be afraid – if you conquer your fears, you’ll feel free – and there’s nothing like the freedom you feel when riding a Harley.